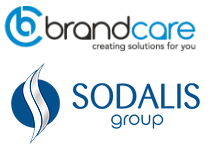 Sodalis, a leading Italian player in the personal, beauty and home care space, has announced the acquisition of household and healthcare business BrandCare from Portuguese investment fund Explorer Investments. BrandCare is an Iberian company that was formed in December 2013 as the result of the acquisition of a number of assets from Colgate-Palmolive. In Spain, its principal products are Cristasol window cleaner, Xanpa household detergent and Tacto hand soap, while in Portugal the primary product range includes Super Pop dish detergent, Javisol bleach and Feno de Portugal soap. August 2015 saw the company enter the laundry care space with the purchase of the Mistolin, Fascinante and Starlim brands. Commenting on the acquisition, Sodalis founder and CEO Fabio Granata said: “Brand Care is another important step in our strategic development. We now have subsidiaries in France, Spain, Portugal and Russia and we plan to expand further our geographic footprint. With Brand Care, we add to our portfolio a few iconic brands in Portugal and Spain and we have a strong management team becoming part of our group”.